Welcome! 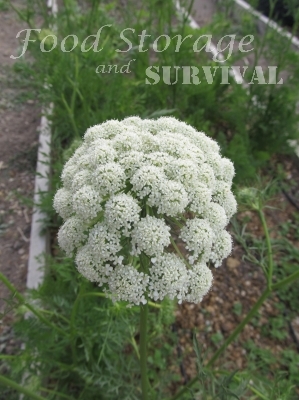 this post is part of the Prepared Bloggers’ 30 Ways of Homesteading roundup! At the bottom of this post you’ll find lots of great links to other ways to become self sufficient through homesteading, so be sure to check them out! Saving carrot seeds is a two year process. Like many other root crops including onions and beets, carrots are biennials. This means the first year they are planted, they do not seed. They will produce seed in their second year. In all but the coldest climates, carrots can be overwintered in the ground. If you live where it regularly freezes through the winter, cover the carrots with a thick layer of mulch or straw bales to protect them from freezing. 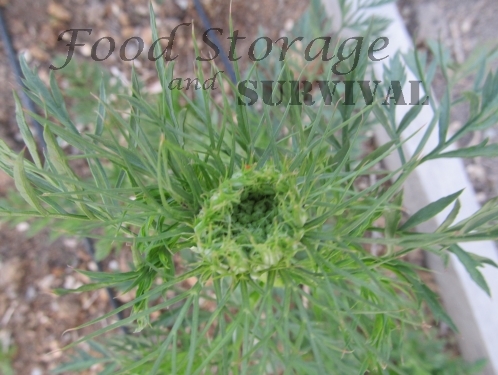 Alternately, the carrots can be harvested in the fall and stored in a root cellar or other cool, humid location to be replanted the following spring. Some suggest storing carrots in bins layered with moist sand or sawdust through the winter. I kept mine in the ground. 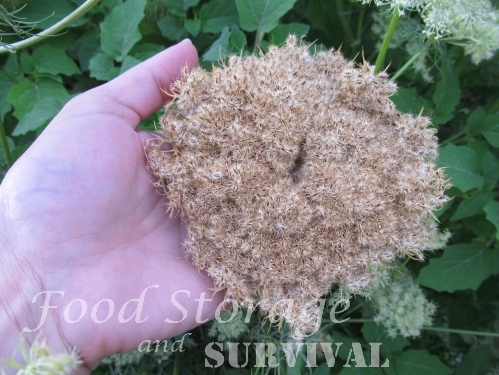 Leave the seed heads on the plant until the seeds are dry. 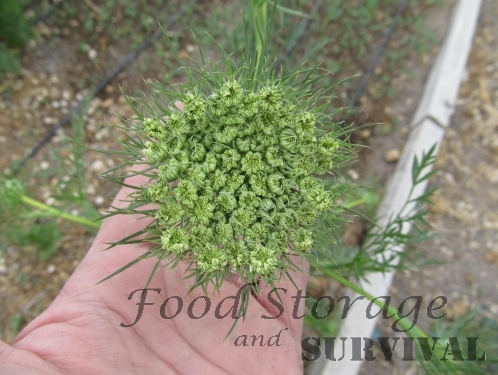 It took until mid-August for the first mature seeds to be ready. 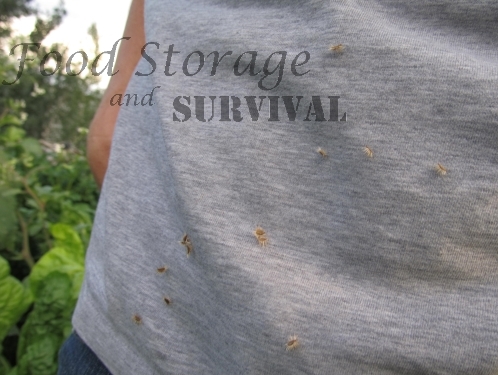 The seeds are burred, so they stick to clothes, pets, and anything else that passes by. I’m sure I’ll have carrots growing everywhere next spring, including the path between the garden and the house! 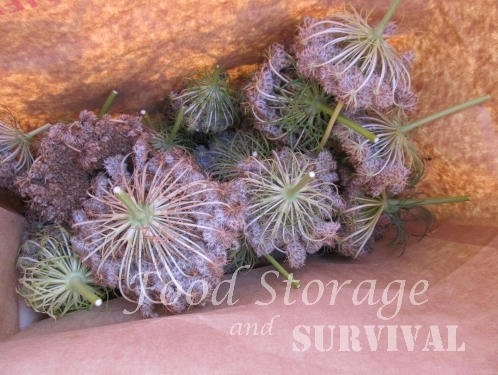 Clip the seed heads from the plants and let them finish drying in a paper sack to contain the seeds. 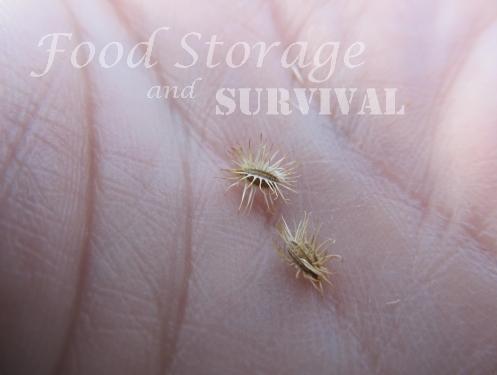 The burrs on the seeds don’t affect their growing ability, but you can rub them off if you want prettier seeds. Store them in a cool place to plant next spring! 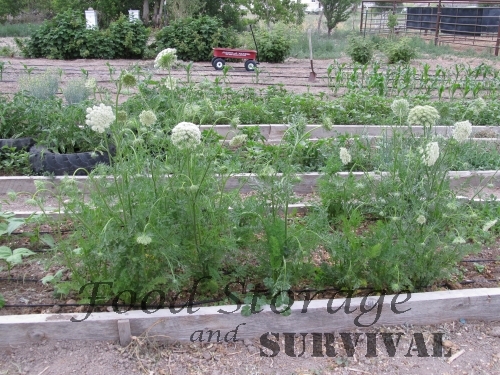 As a side note, if this is a “survival garden” and you start with a limited number of seeds, plant half the first year and save half to plant the second year so you can have carrots growing while the first year’s carrots are making seeds. If you have carrots in your garden, try overwintering some and grow your own seed next year. Happy seed saving! 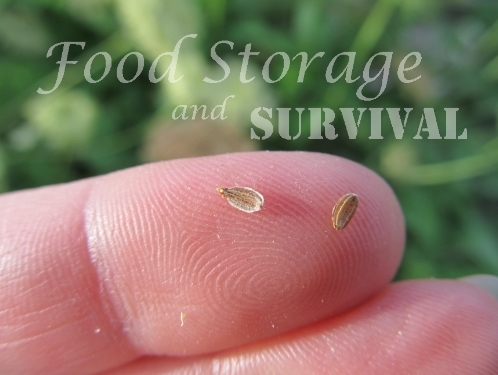 Want more about saving seeds? 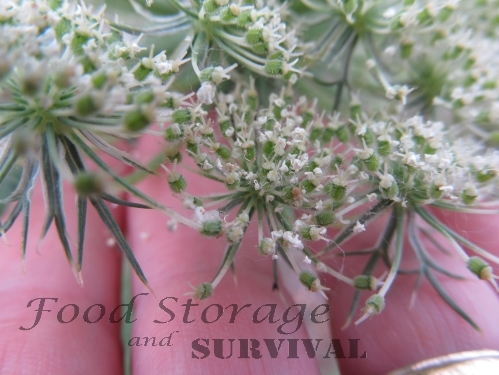 Check out my Seed Category for how to save seeds from lots of other garden plants! Thanks for this info on carrot seeds. I did not know this. This is so neat! Thank you for sharing! I’ve always wondered how seeds were collected from carrots. Very interesting and thanks for the visual pics! This was very interesting and good information to save and know. 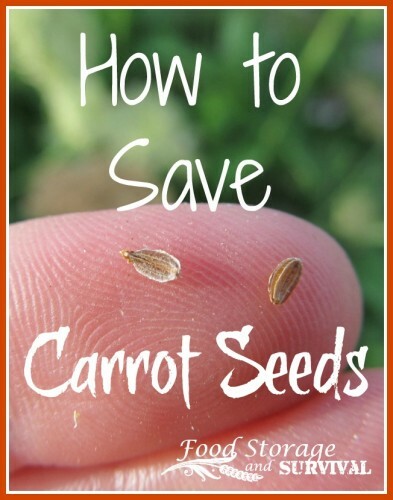 I read that to preserve genetic diversity and make sure your carrots don’t get weaker each generation, you should save seed from lots of plants – some recommend at least 40 for carrots. I read this at http://www.realseeds.co.uk/seedsavinginfo.html Of course, all saved seeds are worth a gamble and will likely give you one decent generation, but for long-term gardening, maintaining genetic diversity is really important for strong, resilient crops.